Innovation has been difficult for traditionally successful companies. While leaders such as Intel, Oracle, and Microsoft spent time improving performance, entrepreneurial founders from Facebook, Google, and others moved in, creating new earnings engines by delivering faster and with less friction. When I introduced Crossing the Chasm in 1991, the idea of a technology adoption life cycle with different categories of enterprise technology buyers was novel. Now, most b2b founders recognize the value of aligning their businesses with innovators and early adopters (a.k.a. lighthouse customers). At the same time, they realize reaching beyond those groups to the early majority is much more demanding, and can sometimes feel like a futile exercise similar to poor Sisyphus pushing his boulder up the hill. Yet when they find pragmatists, or what I refer to as a "bowling alley" group of users that share similar pain points, the business can successfully cross the chasm to “viable” and enter the tornado phase, when it seems everyone--from techies to Main Street conservatives-- purchase. After all, adoption is social, so the skeptics come along too, and that's when you have total assimilation. Interestingly b2c companies don't cross a chasm, but rather spin up a motor with a variety of gears to generate a tornado. Two gears -- acquisition and monetization -- were what early investors questioned most. How were companies running experiments and based on results, tweaking accordingly. However, the other two--engaging traffic and enlistment behavior--have turned out to be longer-term predictors of success. “Spinning up the web” or a mobile app today requires viral engagement. When Net Promoter scores reach 9 and 10, you know you have a winner. While not impossible, crossing the chasm or spinning up the web within a traditional business is hard because innovation can be distracting and require reassigning top talent. You, as an entrepreneur, can use their continued focus on performance to your advantage, executing on one of the framework powers to grow your business or be acquired by theirs. Getting traditional enterprises to effectively create new earnings engines is outlined in Zone to Win. For now though, startups like yours that can cross the chasm or spin up the web still have the edge. 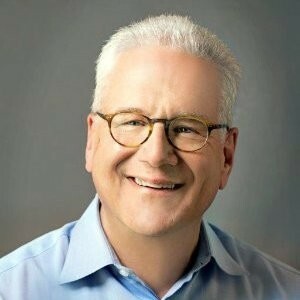 Geoffrey Moore is an author, speaker, and advisor who splits his consulting time between start-up companies in the Mohr Davidow and Wildcat Venture Partners portfolios and established high-tech enterprises, most recently including Salesforce, Microsoft, Intel, Box, Aruba, Cognizant, and Rackspace. Moore’s life’s work has focused on the market dynamics surrounding disruptive innovations. His first book, Crossing the Chasm, focuses on the challenges start-up companies face transitioning from early adopting to mainstream customers. It has sold more than a million copies, and its third edition has been revised such that the majority of its examples and case studies reference companies come to prominence from the past decade. Moore’s most recent work, Zone to Win, addresses the challenge large enterprises face when embracing disruptive innovations, even when it is in their best interests to do so. It’s time to stop explaining why they don’t and start explaining how they can. This has been the basis of much of his recent consulting.